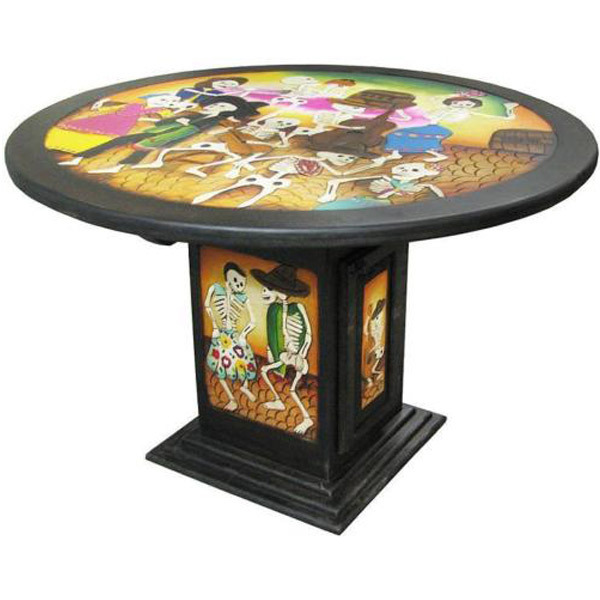 Every Carved Collection dining table offered by La Fuente Imports is considered a one-of-a-kind work of art, exquisitely hand-carved and hand-painted by the renowned Perla furniture studio of Michoacan, Mexico. 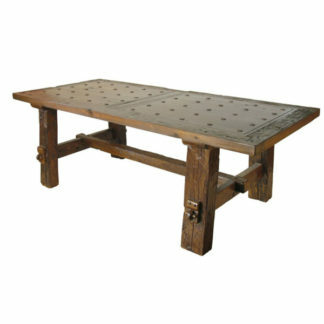 Be sure to view the alternate photos for a closer view of the handmade detail in every table. 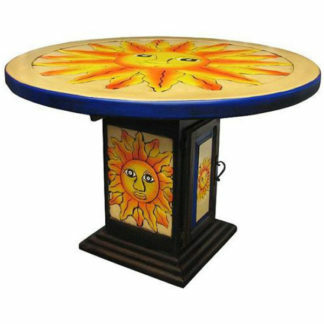 The creative designs and vibrant colors result in an eye-catching addition to almost any home decor, and will surely be cherished for years. 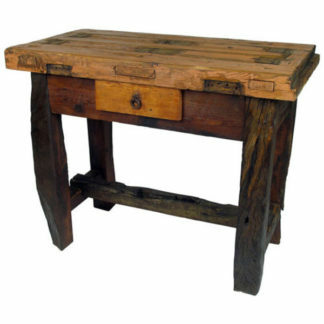 The base of this table includes a functional door and storage cabinet. Glass for the table top is not included. Due to the handmade nature of the product, colors and design may vary slightly.